The technology of this day and age has made so many things possible, too many to count or to name in this article. The lives of everyday people experienced today are so vastly different then the lives of people living only a few decades ago. It’s fair to say that our lives and the options presented to us are growing and changing year after year, like never before in human history. However, what we should be most interested in is what those changes and opportunities mean for an entrepreneur, especially the little guy that’s hoping to create something of his or her own. There was never quite anything like what we have now with the rapid expansion and relevance of e-Commerce. Most importantly the rise of Amazon as a platform that allows anyone to become a player in what seems to be the greatest game in the world. Never before has it been so easy to go from having an idea for a product to see it actually made in the real world and putting it in front of potentially hundreds of millions of people. To think that anyone with a little bit of money and an idea has the option of starting their own brand of products that can immediately stand on its own and compete with all the other brands in the world is truly amazing. Right now, it’s actually possible to sit at your computer and to get in touch with a factory across the world where you can have a product made with your exact specifications. You can have that product shipped across the world once again and have it stored and sold without you having to touch it with you bare hands. This has never happened before. Before whenever you wanted to enter a market and start producing something there were a number of things you needed to have before you can even start playing the game. Before You either needed a factory of your own, or you needed a physical store with staff to sell the product to customers in person. Up until just a few years ago even in e-Commerce you needed a place to store your inventory and to ship it by yourself each parcel at a time. Now with Fulfillment By Amazon (or FBA) you don’t even need to do that. Make no mistake the game is not easy and I’m certain you have heard about people that made obscene amounts of money selling on Amazon. In 2017, supposedly, there were 100,000 sellers that made over $100,000; which is entirely possible and within reach to anyone. However, that is easier said than done. The point to be made here is that never in the history of humankind has it been easier to enter the global consumer market. In fact, it has never been even remotely possible to enter this game, never-mind be a viable player with just a couple of hundred dollars and some vision and determination. Let us take a look at some numbers: There were 90 million Amazon Prime accounts in the US only as of September 2017, there were 63 million a year earlier. These are just prime accounts, there are at least twice as many users in total and the number keeps rising. The fact that there are at least 200 million people in America alone that do some of their shopping on Amazon is too much for our brain to even comprehend. The potential for growth is virtually endless. Try to imagine Amazon as an old fashioned flea market where there are millions of products. Try to imagine tens if not even hundreds of millions of people roaming, shopping and looking at everyone’s wares - you can’t do it can you? Well, of course not! Even if we can’t imagine it, it’s actually there, it is actually that big, and anyone can set up a shop there. Here are some more numbers: 44% of Americans go straight to Amazon when they search for a product. They don’t even bother with Google. 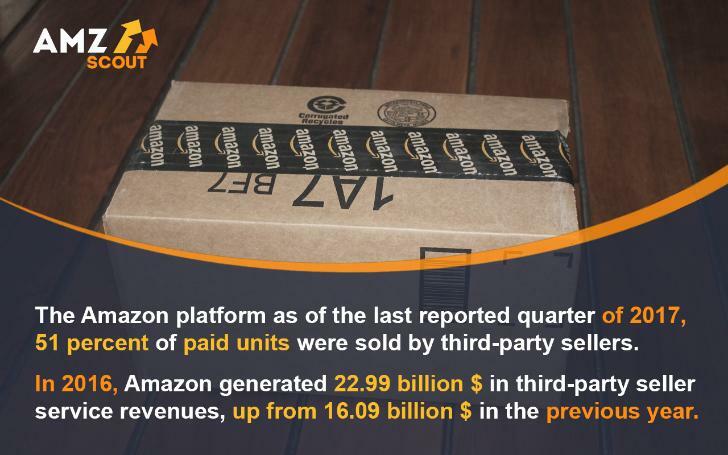 This number keeps rising, which means more and more people find Amazon synonymous with online shopping. It is also important to note that 80% of Amazon users buy something on Amazon at least once a month. However the most important piece of data is that Amazon accounts for 4% of all sales of all products in the US in 2017. What makes this the most important piece of data? It is obvious that e-Commerce is slowly replacing retail; at the very least taking bigger bites out of it as time goes on. People are not going to be doing all of their shopping online any time soon. Yet it is obvious that online shopping is becoming an increasingly bigger portion of shopping overall. Especially seeing that products like bottled water and bags of potato chips can be found on Amazon is another indicator of what e-Commerce is capable of. 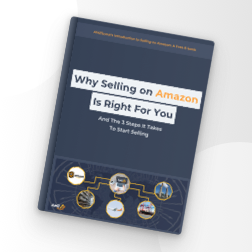 Combining that with the fact that Amazon is at the forefront of online shopping and that as a company has an extreme focus on innovation and efficiency makes entering this arena a very tempting prospect. 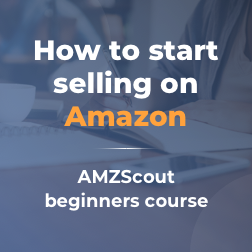 It is easy to see that e-Commerce and online shopping are the future and that Amazon is not missing any steps in bringing that future to the present. You must have heard the saying “today you are the oldest you ever were and the youngest you are ever going to be” I can give you a version of it “The arena of Amazon has never been this big and it is the smallest it’s ever going to be”. Besides the fact that becoming a competitor on a global consumer market has never been more accessible what truly makes this a revolution in business as we know it, is the implication of it. That implication being that there are so many new small players entering this game and all of them (that includes you) can become big players. Some of them already are. Since the concept of being able to produce something and launch it on Amazon has only been around for a very short period of time, it’s not exactly possible to see what impact is it going to have. All we can see right now is that it’s going to be a big one. The best way to describe this is if we take a look at YouTube. Not so long ago YouTube was a place where you used to go to watch cute cat videos and fail compilations, now it’s an entirely different thing. YouTube has become such a force in the world of media and entertainment so much so that it is a matter of time where it completely replaces conventional media. Now there are high quality political and late-night talk shows, animated cartoons, podcasts, high quality documentaries and scientific debate and discussion shows. A lot of the producers of this content completely eclipse the ones on traditional media in terms of viewership. YouTube has created celebrities in their own right with respective viewerships in the millions. No one could’ve predicted that. For example, top rated shows on giant US media networks like CNN, MSNBC and FOX have between 300,000 and 500,000 viewers watching them. How many YouTube videos and channels can you find that have 10 times that many views- thousands upon thousands! This entire media revolution in front of our eyes has happened because ordinary people were given a chance to present their ideas and content to others. YouTube has come a long way and I don’t see its evolution slowing down any time soon. Keep in mind this is just entertainment. What we have with Amazon is a platform that allows anyone to partake in the arena of global consumer products – the most important thing there is. We cannot possibly imagine what kind of monolithic brands and what kinds of revolutionary products we will see emerge from Amazon sellers in the future. But you can bet that it’s going to happen. We are witnessing a whole new breed of entrepreneurs, and a whole new way of doing business coming from people of all backgrounds. The fact is that now you don’t need a massive amount of startup capital or a degree in business or a special business connections all around the world. Without any of that you can start an actual global business in every sense of the word. This is a truly marvelous thing and I cannot wait to see how it changes the world.